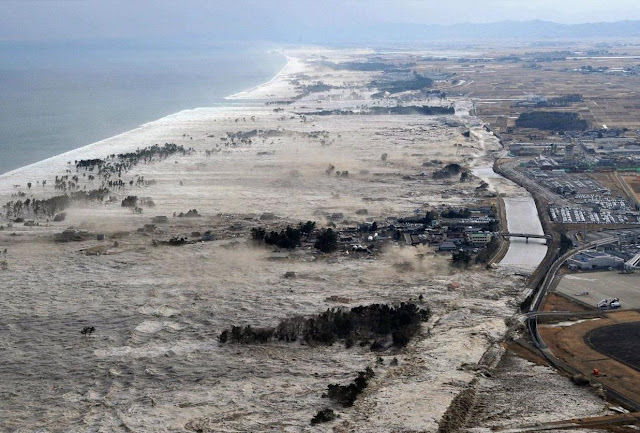 The Big Wobble: 2017 the year of the rogue tsunami: Tsunami's in strange places...Iran Holland Greenland and more not thought to have been caused by a quake! 2017 the year of the rogue tsunami: Tsunami's in strange places...Iran Holland Greenland and more not thought to have been caused by a quake! A video by DAHBOO777 showing a series of events which took place in South America and South Africa sometime around August 10th was sent into me by Chessie Crow Gartmayer showing a terrifying tsunami along the west coast of Africa which was not caused by a quake. A drastic amount of sea water receded from several places along the South American coast. He also claims he caught a huge wave anomaly over this region around this same time shown on a MIMIC Radar System. 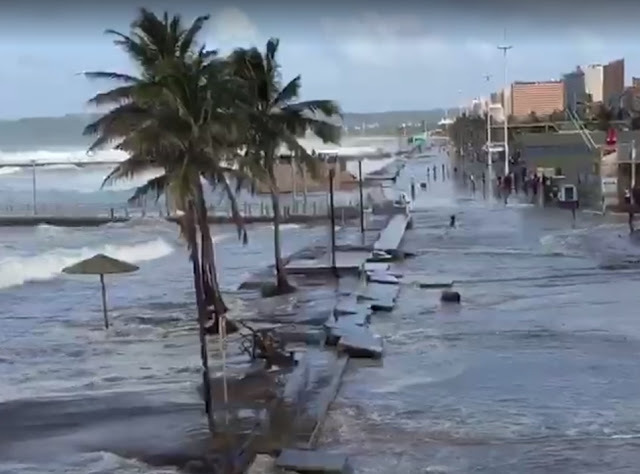 The video alerted my attention to the fact that the tsunami along the South African coast is only one of many rogue tsunamis which The Big Wobble has reported this year. Back in March 2017, reports of a tsunami hitting South Iran on the internet appeared to be incorrect, as no quake large or small has not been registered in the area yesterday. 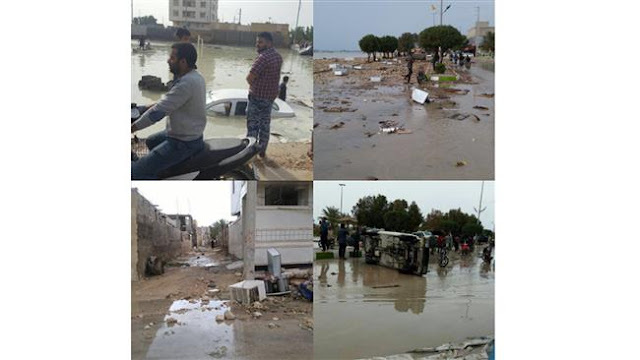 However large waves were filmed smashing into the port city of Dayyer in the southern Iranian province of Bushehr where at least one person has lost his life and five others were reported missing. Back in June and just a few miles from where I live footage emerged of a tsunami hitting the coast of The Netherlands catching beachgoers off guard with a seven foot tidal wave. Also in June four people are 4 people where reported dead along with 39 homes swept into the sea after a tsunami hit Greenland's west coast, police have said. The surge of water is also reported to have swept away 11 homes in the village of Nuugaatsiaq. Police chief Bjorn Tegner Bay said he was unable to confirmed there had been fatalities, according to KNR, Greenland's broadcasting corporation. The authorities were not sure weather a small rare earthquake caused the tsunami or a landslide. Incredible huge tsunami waves rolled into Durban beachfront, South Africa, freak waves rolling into Durban beachfront on Sunday 12 March 2017… as rough seas battered the KwaZulu-Natal coastal resort in South Africa. Locals could be seen fleeing the beach as huge wave broke onto the shore front, see below.